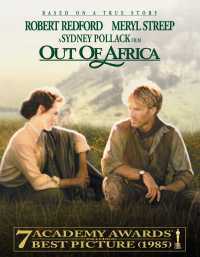 Out of Africa is a 1985 American epic romantic drama film directed and produced by Sydney Pollack, and starring Robert Redford and Meryl Streep. The film is based loosely on the autobiographical book Out of Africa written by Isak Dinesen (the pseudonym of Danish author Karen Blixen), which was published in 1937, with additional material from Dinesen’s book Shadows on the Grass and other sources. The film received 28 film awards, including seven Academy Awards. The book was adapted into a screenplay by the writer Kurt Luedtke, and directed by the American Sydney Pollack. Streep played Karen Blixen; Redford played Denys Finch Hatton; and Klaus Maria Brandauer played Baron Bror Blixen. Others in the film included Michael Kitchen as Berkeley Cole; Malick Bowens as Farah; Stephen Kinyanjui as the Chief; Michael Gough as Lord Delamere; Suzanna Hamilton as Felicity, and the model/actress Iman as Mariammo. It was filmed in 1984.